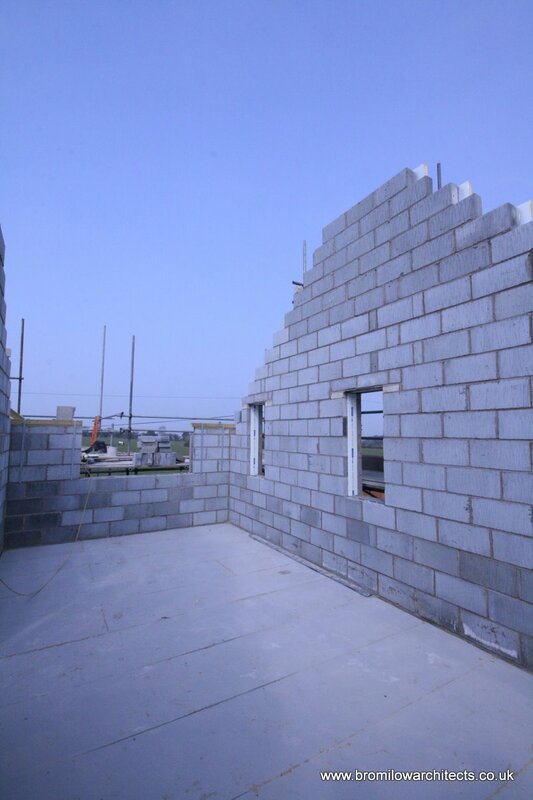 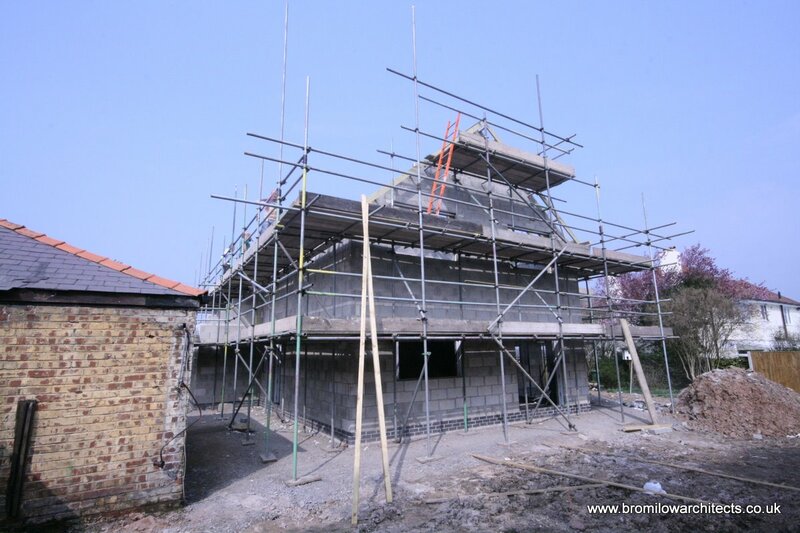 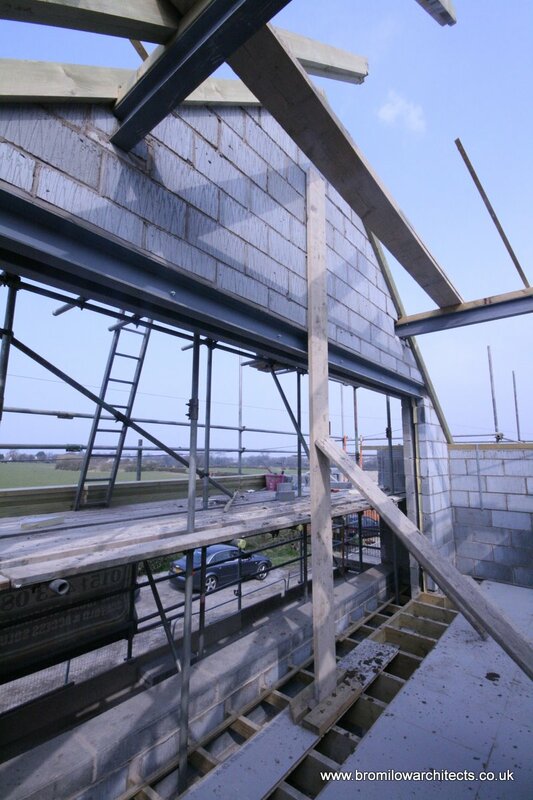 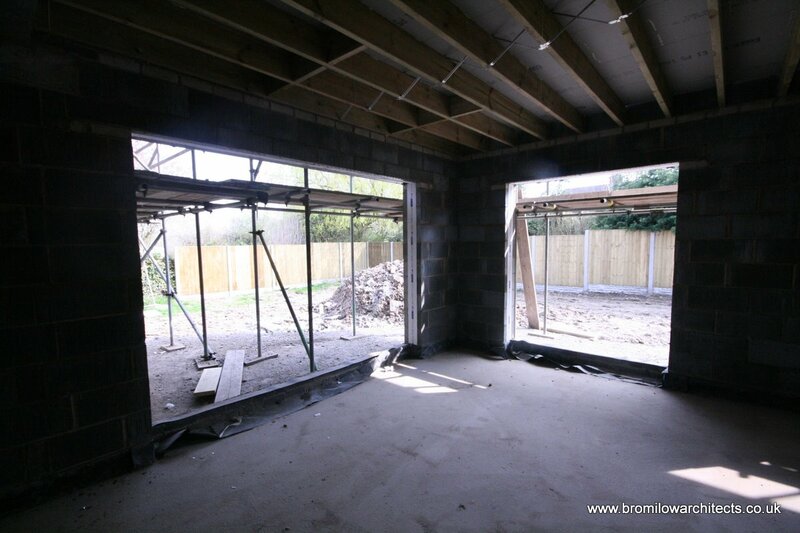 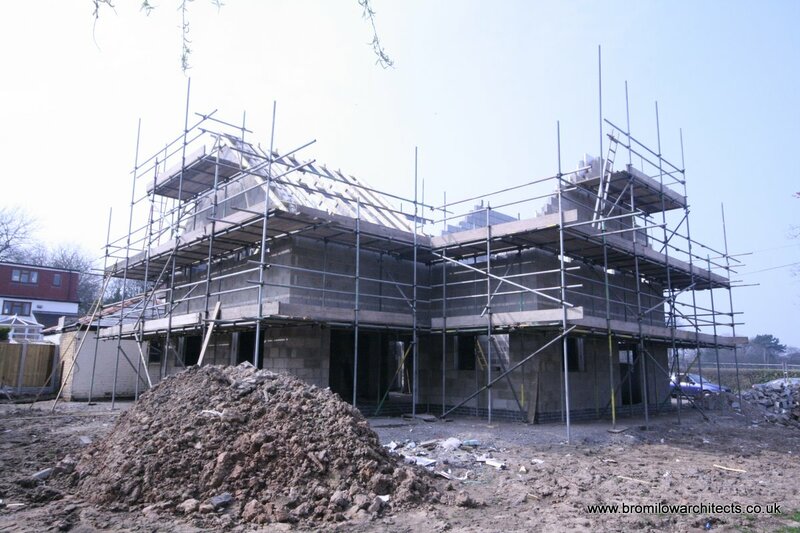 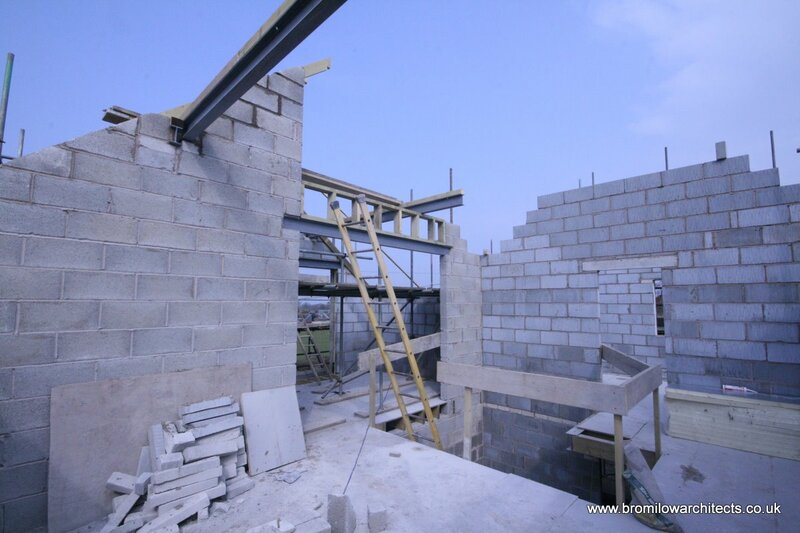 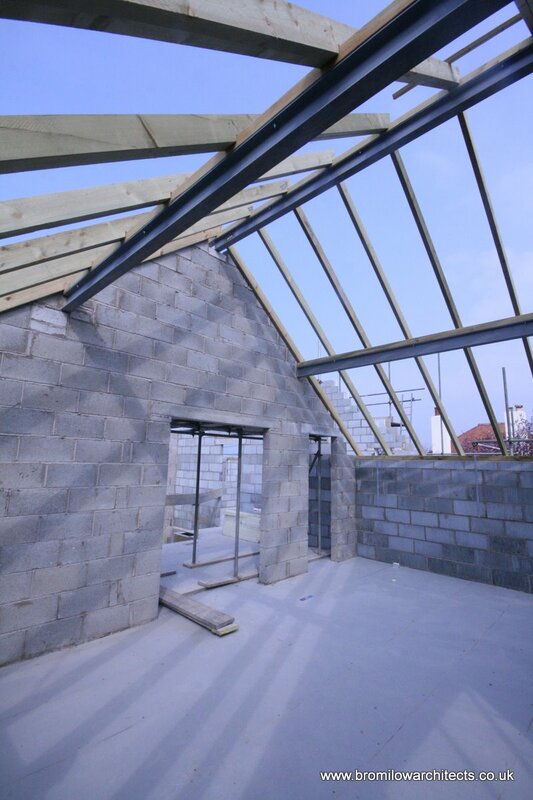 New Build House progress By Bromilow Architects Wirral | bromilow architects ltd.
With the good weather continuing, this new build house being Constructed in Wirral continues at a good pace. 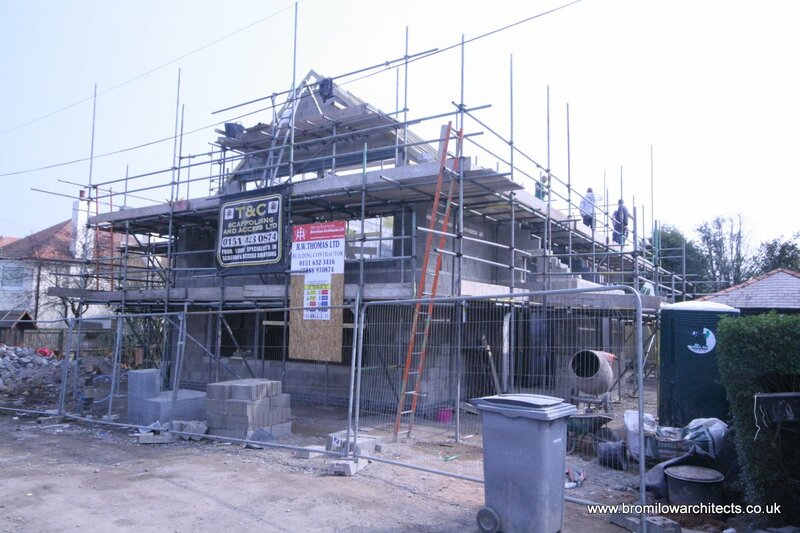 The roof timbers are nearly finished ready for the new slate roof finish in a couple of weeks. 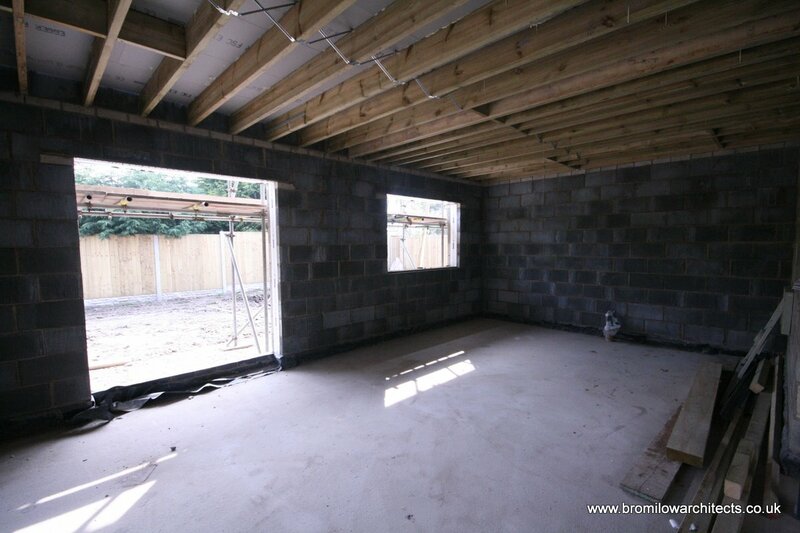 The first fix electrics and plumbing will then start including the under floor heating system to the whole house. 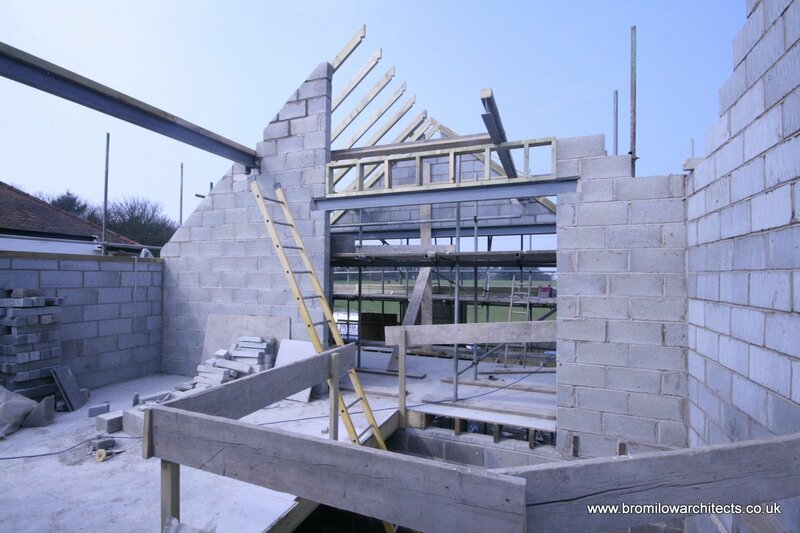 Eco environments who are installed the Photo Voltaic Solar Panels are also due on site in a couple of weeks to start there first fix.